Eliza Clark, co-owner and the designer behind Foxfire's distinct aesthetic, is a regular contributor of interior design tips to Vogue. Her spaces have been featured in Harper's Bazaar, Domino, Elle Indonesia, Apartment Therapy, Remodelista, One King's Lane, and Dot & Bo, amongst other leading titles. 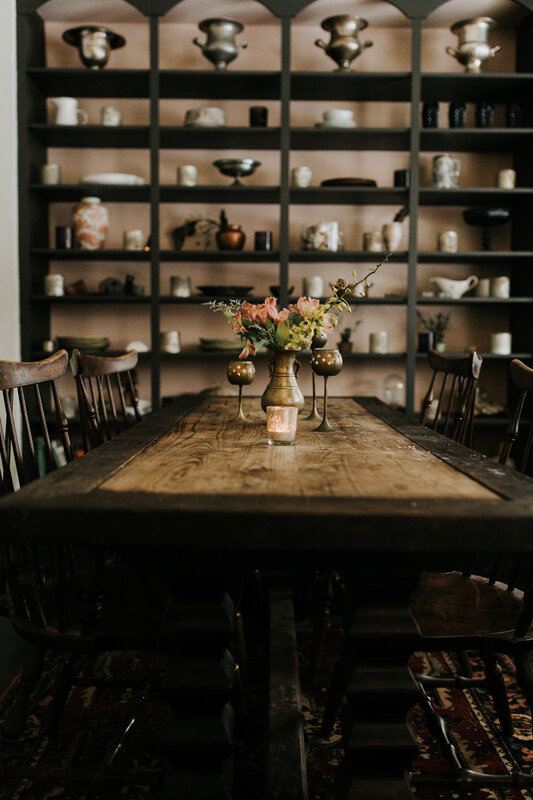 The Foxfire aesthetic is defined by a celebration of vintage pieces and materials, as well as the incorporation of natural elements into every space -- antlers, flowers, wood, feathers, bone. She is available for a limited number of private interior design and decor commissions each year. Please get in touch if you'd like your space designed by Foxfire.